We all love chocolate, don’t we, but how to make chocolate dipping sauce in 5 minutes (or even under)? Nothing simpler, all it takes is 4 magic ingredients and ta-dah: all done! 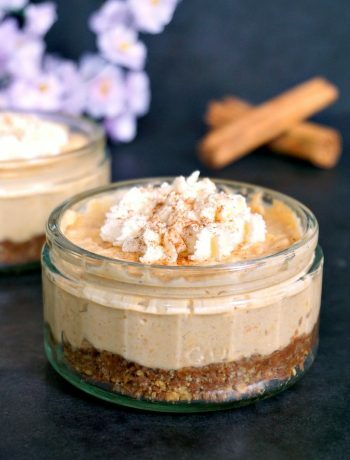 You really won’t believe it is homemade and you’ll wonder why you haven’t done it before. Just get some nice fresh fruit like strawberries, bananas, satsumas, even apples, and dig in. Yup, the bowl of chocolate will be empty is seconds. How yummy! That I like chocolate is a complete understatement. I LOVE it! And so does my husband! (And three quarters of the planet, most probably). But sometimes we get fed up with the good old chocolate bar and a bit of a change is needed. And wouldn’t that be a shame to get fed up with chocolate? It would for sure. So this chocolate dipping sauce is the answer. 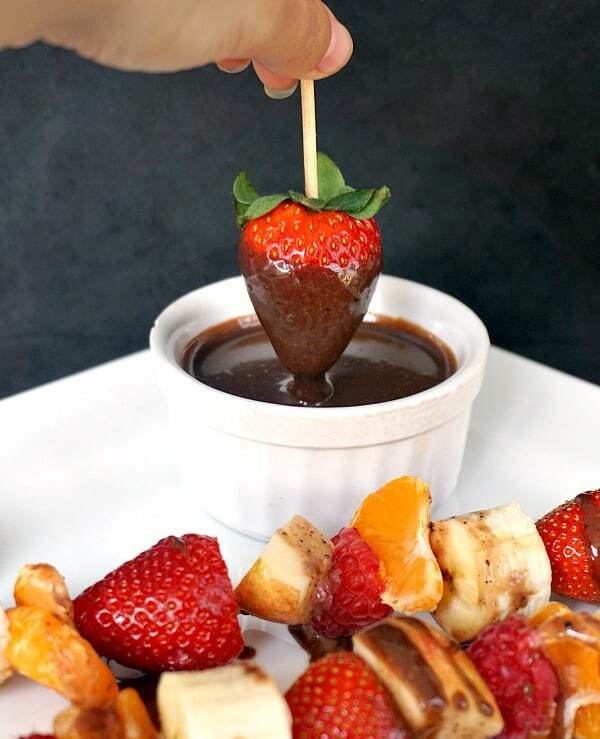 How do you make chocolate dipping sauce? Rich, smooth, divinely chocolatey, this is every chocoholic’s dream come true. And it’s ridiculously easy to make. All we need is double cream (or heavy cream), milk chocolate, butter and golden syrup. The butter can be replaced with coconut butter, and the golden syrup with honey. Just add the cream and chocolate pieces to a pot set over a pan with simmering water, and once melted add the butter and syrup and mix until smooth. What to dip in chocolate sauce? These fruit kebabs l made go so well with the sauce, and they are the perfect summer treat. They also make you feel less guilty for indulging, in case you’ve been working hard to get that so dreamt beach body and now you’ve got yourself caught red handed with a big bowl of chocolate sauce. Marshmallows!!! Of yes!!! Use some skewers and create your own marshmallow kebab, and that’s one treat and a half. OR how about some nice breadsticks, biscotti, pretzels, crackers? The possibilities are endless here. What l like most about dipping feuit though, especially strawberries, is that you can make a delicious dessert for a romantic dinner in two. And that in just 5 minutes!!! Valentine’s Day might be well behind us, but who said you need to have an excuse for a romantic dinner? Can I use the chocolate sauce as a glaze for desserts? Another amazing thing about this chocolate sauce is that it can be used in any dessert with chocolate filling. Take out the golden syrup, and you’ve got the perfect chocolate cream for this amazing Chocolate Roulade. Or what about a nice glaze for some yummy donuts? 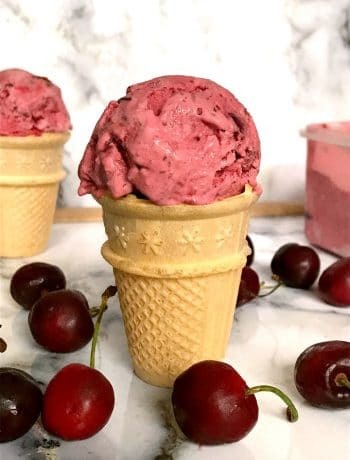 Or a finger-licking topping for a lovely homemade ice cream? Double cream and a chocolate bar may be enough to make a sauce, but to take it to the very next level, you have to add butter and syrup, they make the sauce shiny and silky, and deliciously runny. The amounts l listed below make one cup of chocolate sauce, so increase the amounts accordingly if you need extra. Right, enough said, l need to go now, there’s some luscious chocolate dipping sauce and fruit waiting for me. 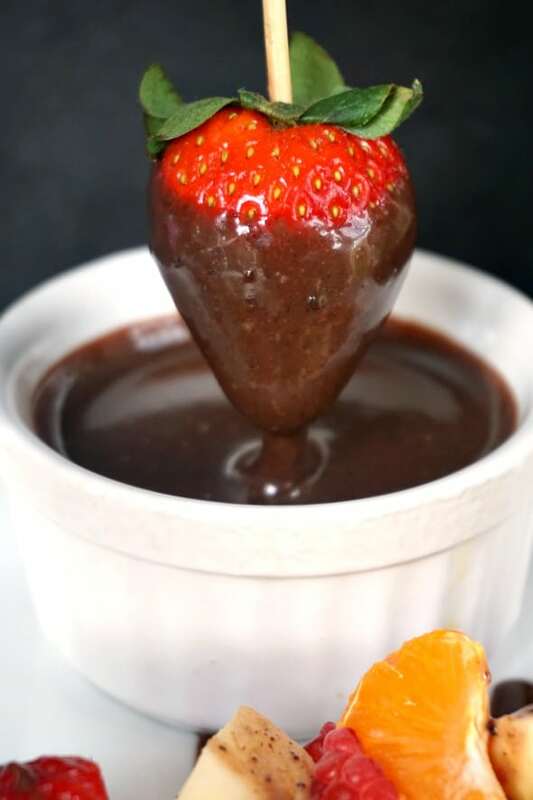 If you’ve liked my post HOW TO MAKE CHOCOLATE DIPPING SAUCE or any other recipe on the blog then don’t forget to rate the recipe and let me know how you got on in the comments below, I love hearing from you! You can also FOLLOW ME on FACEBOOK, and PINTEREST to see more delicious food and what I’m getting up to. If you love chocolate and you wonder how to make chocolate dipping sauce in 5 minutes, the answer is quite simple. Only 4 ingredients and you get the silkiest, and most delicious chocolate sauce ever. Pour the double cream into a heat-proof bowl and add to it the chocolate broken into pieces. Place over a bowl of simmering water, making sure the bowl does not touch the water. Leave the chocolate to melt, then add the butter and golden syrup and stir well until the butter has melted and the sauce is smooth and silky. Leave to cool slightly, then enjoy it with your favourite fresh fruit. Lucky you, more chocolate for you ? My husband is a chocolate monster ? I love fruit kebabs.. In fact I love grilled pineapple slices. That strawberry and chocolate sauce sounds yum. Ok…so my husband and oldest daughter are chocolate fanatics. Even they could make this. Perfect..I will pass this along to them…sometimes I need a break. They can make dessert for me. 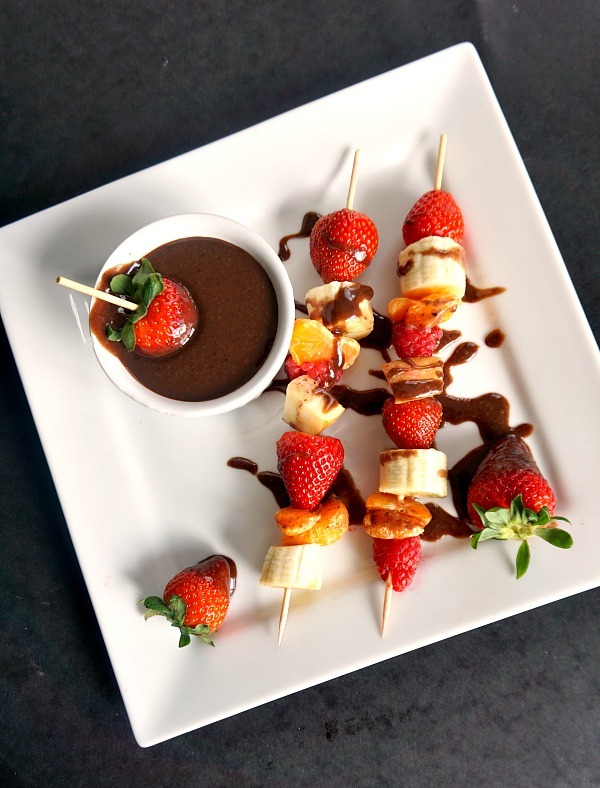 Serving a fresh fruit platter with this delectable chocolate sauce is such a fabulous idea for a summer party!! This needs to happen! I love chocolate and love that you have given an easy 5 minute recipe to pull out when needed! It looks absolutely delicious! Chocolate is always a great idea 🙂 Love this simple, easy, fast chocolate dipping sauce! This would be great for a dessert bar. It sounds so decadent! Summer break is very near. I can’t wait to make these with my kids:) I am sure they will enjoy these. 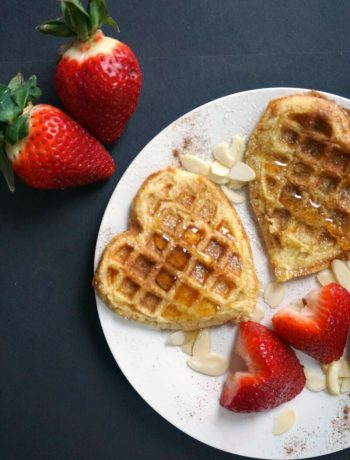 I just bought a bunch of strawberries, so I’d love to make this tonight! Can’t wait to try it out! 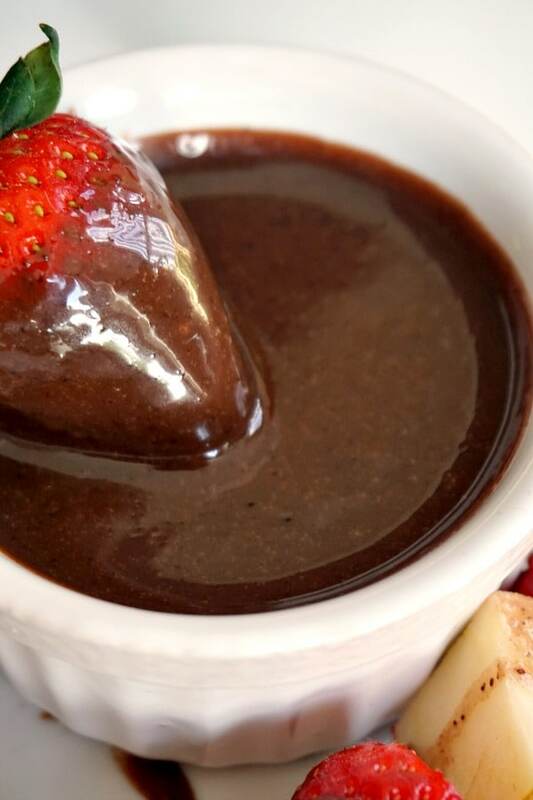 Your chocolate sauce looks not only delicious but perfect layer forming when you dip the strawberry. I am going to try it. My kids always are amazed at how they make the chocolate dips at the dessert fountain and have been bugging me to make some at home. I don’t know if I will make a fountain, but I sure can make this simple dip for them. They will be excited to dip all the strawberries we pick this summer. I love chocolate. I like chocolate dipped fruit,but even better is chocolate dipped cookies. I have never used honey though, I’m intrigued. My mom and I are some of the biggest chocolate lovers around. I wish I had thought to make this today for Mother’s Day for her! This will be a great dessert for our upcoming family beach vacation next month! My mom and I are some of the biggest chocolate lovers around! I wish I had thought to make this today for Mother’s Day for her! This will be a great dessert for our upcoming family beach vacation next month! It’s lovely indeed. In Romania we celebrate Mother’s Day on the 8th March actually, but l can say Happy Mother’s Day to her several times ? 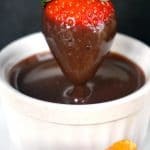 Wow, who will say no to a delicious chocolate sauce, i have never added golden syrup to sauce, will try this next time!!!! Oh that’s a good idea, the sauce will go very well with pancakes ? Looks amazing. We love chocolate covered strawberries. On a strict diet, or I’d try it. Chocolate sauce is my all time favourite treat! This is such an easy and mouth-watering dip!